A pack of twenty stormproof matches that are ideal for camping or hiking, these handy weatherproof matches are both wind and waterproof. Designed to light up in all extremes of weather these matches come in a stormproof container and cannot be extinguished by the wind. These matches can be extinguished by immersion in water, but they can be reignited, even when wet! 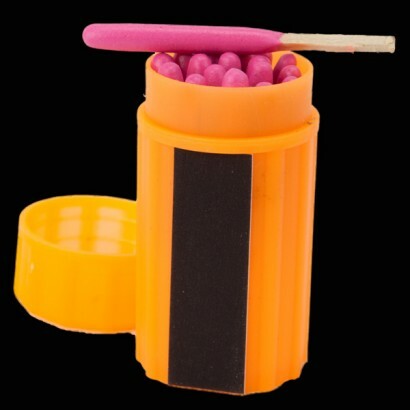 A very handy piece of kit, these survival matches will burn for eight to ten seconds each.